WILLARD STRAIGHT HALL — The Cornell Office of Fraternity and Sorority Life recently revised the Campus Code of Conduct allowing for acts of hazing when it’s, like, a tradition, you know? 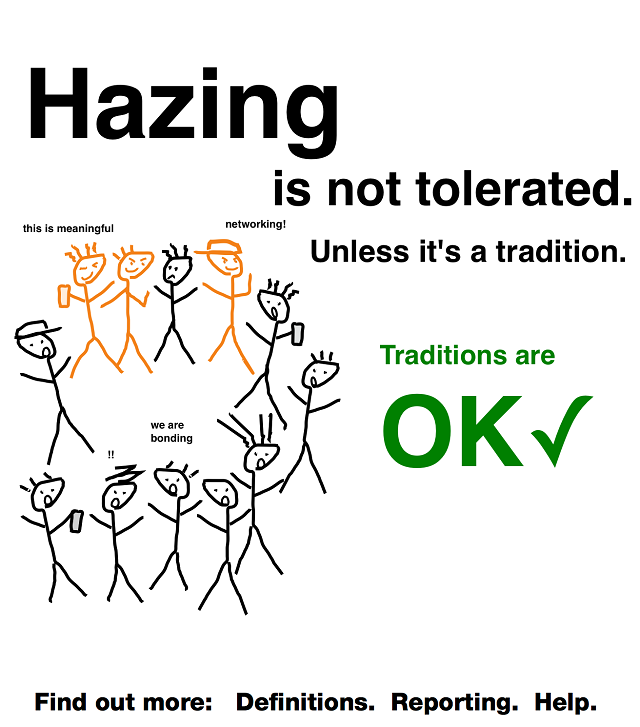 Hazing, defined broadly by the Campus Code of Conduct as an act that “endangers the physical health of an individual or causes mental distress to an individual through, for example, humiliating, intimidating, or demeaning treatment,” is now acceptable when it’s to promote brotherhood or sisterhood or something like that. After hearing the announcement, fraternities across campus were relieved to know that they could keep their Spring pledges locked in the basement for several more hours without fear of suspension.